Glastonbury Partners in Planting has worked with the The Historical Society of Glastonbury on many occasions. The first was a walking tour in South Glastonbury to visit historic homes and some of our member’s gardens. The funds generated supported the Society. There have been three joint projects specifically at the Welles-Shipman-Ward House on Main Street in South Glastonbury which is run by the Society. 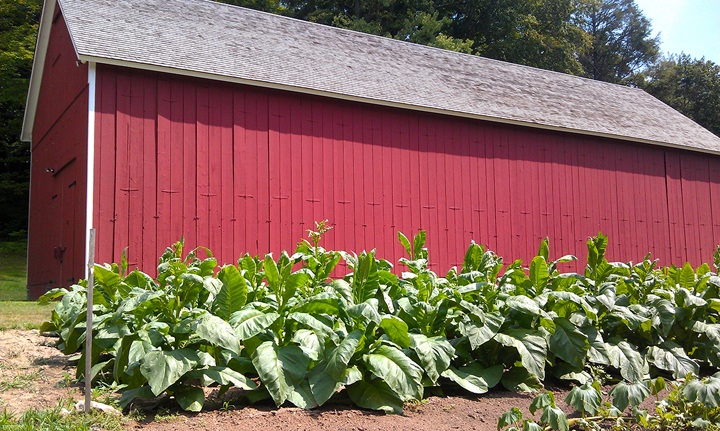 The first GPIP project in 2012 established a border of trees and shrubs to screen the closest neighbor from the newly reconstructed tobacco shed. 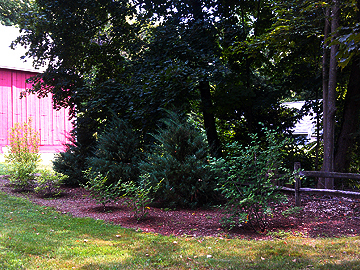 Native plants were chosen for the planting, many of which would have been used by the early occupants of the house. These include witch hazel, an astringent; bayberry for candles; and blueberries and shadblow for drying and cooking. In 2015 GPIP enlarged the growing area to include a selection of heirloom vegetables. Varieties chosen show examples of what the early Welles and Shipman families may have had for dinner. 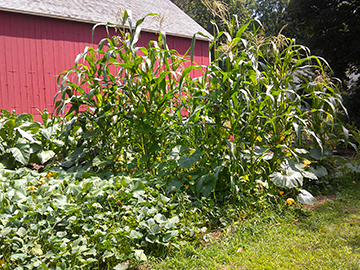 Project chair Karen Rottner planted the corn, squash, potatoes, beets, carrots and onions. 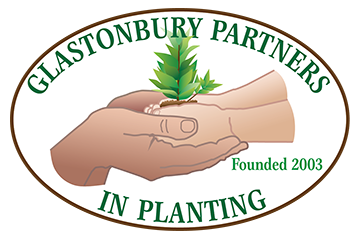 The plan is to involve children in the planting each spring and for young members of the Glastonbury Historical Society to tend the garden. We are excited to announce that Land Heritage Coalition has offered to partner with us when we do battle with invasives at the Ferry Landing!